Our company has been remarkably renowned in the industry as one of the dynamic Spice Mill Pulverizor manufacturers from India. 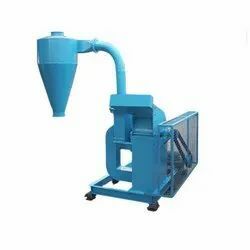 For our clients, we offer an impeccable range of mills that are widely used in industries for grinding spices. As compared to other ordinary mills, our manufactured spice grinding mills are very easy to install and available in varied specifications to suit wide industrial grinding requirements. These spice mills are in adherence to all the industrial predefined standards and norms. These are considered as one of the most economical units specially designed for all types of spices and time-saving operations. The basic principle of pulverization is involved in our spice mills where all the spices are passed through a wide feed hopper into the grinding chamber where the swinging hammers and the rotating hammer rotor are integrated to crush the materials. Looking for Spice Mill Pulverizor ?